A few years ago, in 2000, a certain Greg Classman came up with the idea of CrossFit. He pondered about whether there was a way to determine who the fittest man on the planet was, and what series of tests would have to be placed before the contenders so that a clear winner of the title could be named. His answer was CrossFit. In this blog, we’ll walk you through some of the leading brands who manufacture CrossFit equipment. They are the unsung heroes who help the world’s most elite athletes prepare for their chance to claim to the title of “World’s Fittest”. Read on to find out more. CrossFit consists of constantly varied functional movements which are continuously performed at phenomenally high intensity. The functional movements which are involved incorporate the best aspects of various disciplines including gymnastics, weightlifting, running, rowing and many more. The performance, durability, and quality of any product can often be associated with the brand behind its manufacture. CrossFit is much the same with the world’s elite athletes putting their trust in selected brands to help them achieve the highest possible level of overall fitness attainable. First, let’s list the essentials for any crossfitter’s equipment haul. Possibly the most popular and well-recognised brand in CrossFit equipment is Bodyworxs. They manufacture and distribute strength and conditioning equipment, including weightlifting bars, plates, racks, and other fitness related equipment for CrossFit boxes, personal garage gyms, military, collegiate, and professional sports teams. Their popularity didn’t come overnight and is the product of an unrivalled level of customer service and standard of manufacture. Bodyworx Strength supplies premium functional fitness equipment for those who are passionate about the sport of fitness across the globe. The passion they have for their craft can be seen in the quality of the finish in every product that leaves their factory. Rest assured their range of products will help you attain a new level of fitness. Bodyworx has established itself over the years as one of the biggest distributors of domestic fitness equipment in Australia. Their continued progress is a testament to the quality of equipment they supply as well as the comprehensive range of accessories they offer. Extreme Core designs and manufactures an impressive range of strength equipment which is often used by crossfitters, whether at home or in their local gym. Their products are of the highest standard and are meticulously tested for optimum performance and extreme usage conditions. If you’re in need of proven and reliable equipment, they’re a choice you won’t regret. 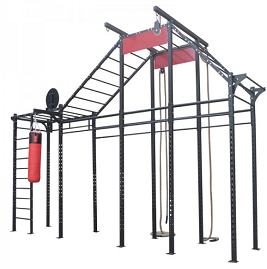 Fitness Equipment Warehouse stocks the highest quality CrossFit exercise equipment on the Australian market sourced from some of the leading brands. If ever you’re in need or want to chat about what your best options might be, please don’t hesitate to contact us. We’d love to help.